Martin Shkreli, the former pharmaceutical executive who gained notoriety for hiking up the price of a life-saving drug, will finally go on trial Monday on charges of ripping off investors. 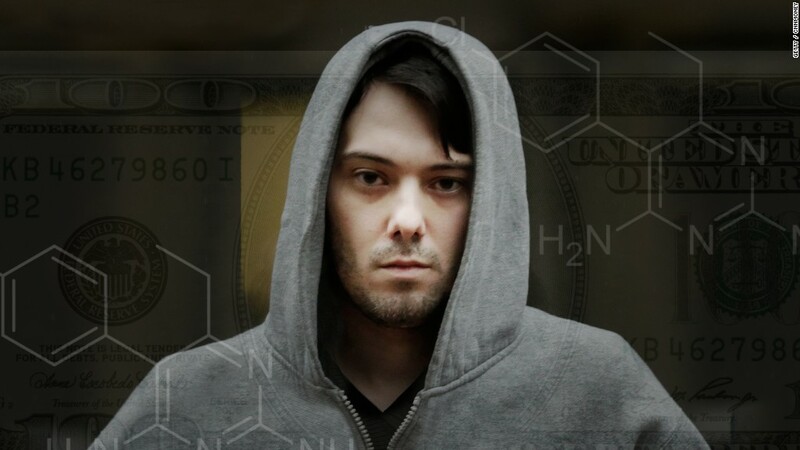 Shkreli sparked outrage in 2015 for increasing the price of Daraprim, a drug used by AIDS patients, by more than 5,000% from $13.50 to $750 a pill while he was CEO of Turing Pharmaceuticals. But that controversy has nothing to do with his criminal trial, set to begin on June 26 in federal court in New York. Shkreli faces charges of securities fraud, wire fraud and conspiracy for allegedly cheating investors out of more than $11 million between 2009 and 2014 in what federal prosecutors called a "Ponzi scheme." Shkreli is accused of mismanaging money at his investment funds Elea Capital, MSMB Capital, MSMB Healthcare, as well as while CEO of Retrophin (RTRX), the pharmaceutical company he founded in 2011. Prosecutors say Shkreli lied to investors at MSMB Capital and MSMB Healthcare about the performance and assets of the investment funds and used money from Retrophin to pay off MSMB investors as well as Shkreli's personal loans and other debts. A former lawyer for Retrophin, Evan Greebel, is charged with helping in the allegedly fraudulent activity. Both have pleaded not guilty. Shkreli, 34, faces up to 20 years in prison if convicted. He resigned from Turing after his arrest in 2015. It was while head of Turing that Shkreli earned the reputation as the "most hated man in America" for boosting the cost of the AIDS drug. His critics include the rapper Ghostface Killah, who dissed him in a video rant as a "fake super villain." Then presidential candidate Donald Trump dismissed him on the campaign trail as a "spoiled brat." Shkreli's lawyer Ben Brafman told CNNMoney in an email on Friday that Shkreli "is really a special kid who could cure cancer if left alone." Shkreli does not seem to be bothered by his infamy. He smirked during Congressional testimony last year, pleading the Fifth Amendment and later tweeted about "imbecile" lawmakers. He's often found on YouTube, livestreaming for hours from his Manhattan apartment while wearing pajamas, strumming a guitar, playing video games and taking calls from fans. He was suspended from Twitter and Periscope for harassing a Teen Vogue journalist. Brafman told CNNMoney that he "would prefer that Mr. Shkreli not live stream during trial" but said his client "did not intentionally violate the law [and] is confident he will be acquitted‎. While I can control his conduct in the courtroom, I cannot control his life nor do I have the right to interfere with his personal life." Shkreli has claimed to own a Picasso, and bought an unreleased Wu-Tang album for $2 million before his arrest. He has also bragged about his wealth, saying on his live streams he is worth as much as $100 million. His actual net worth is not known. Earlier this month, his attorneys asked that Shkreli's bail be lowered from $5 million to $2 million, so he could pay legal fees and taxes.